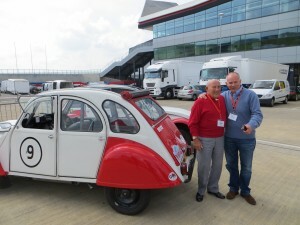 Sir Stirling Moss with veteran journalist Peter Windsor, after they had driven our 2CV round the Silverstone circuit at the Silverstone Classic Press Day on April 30 2014. 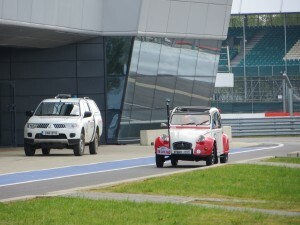 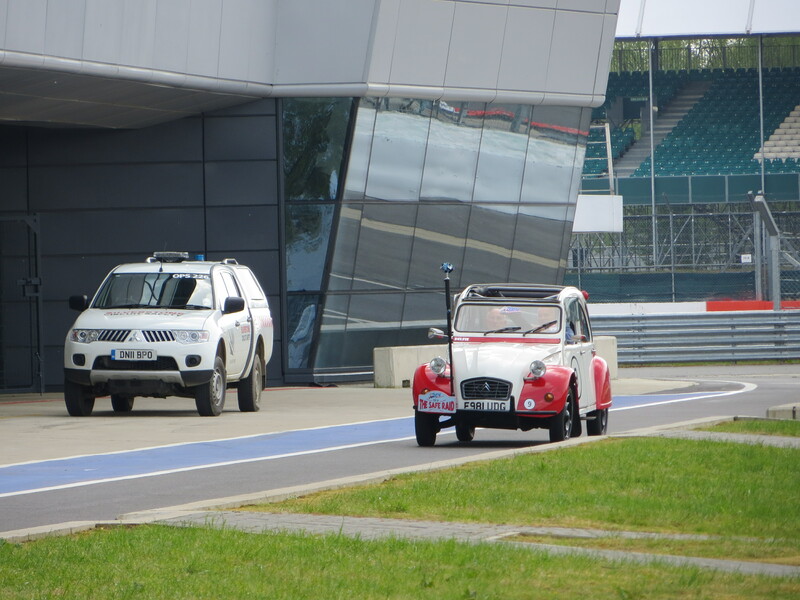 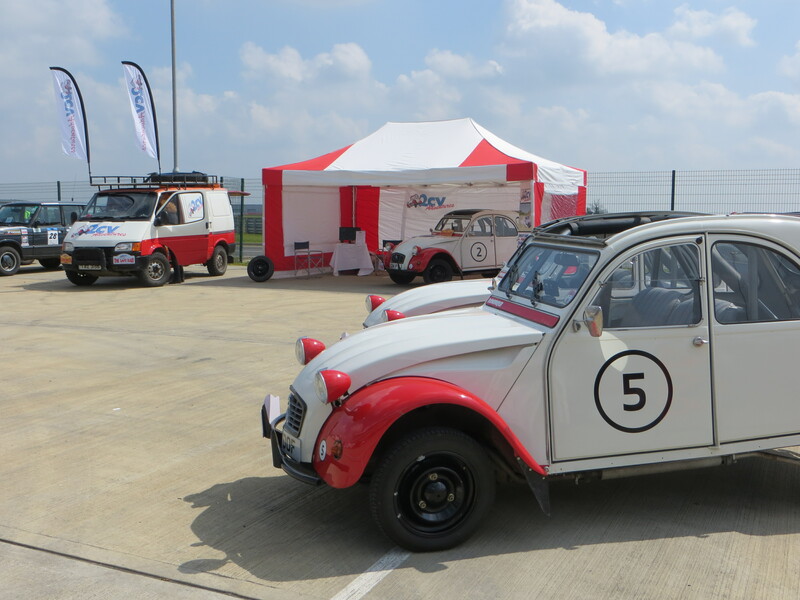 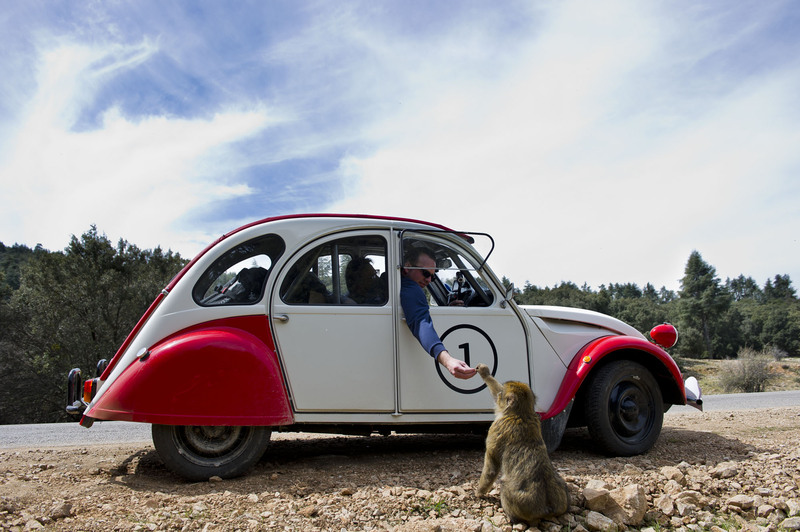 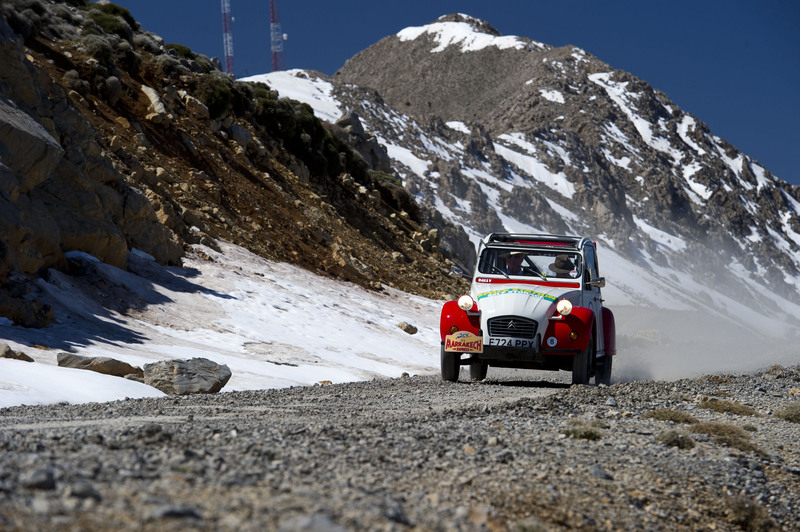 2CV Adventures at the Silverstone Classic Press Preview Day. We will be at the event on July 25-27. See you there.